Is there any paperwork or document for the mechanical systems of 51 High Falls Tr, Bancroft, Ontario? I need more information about the property at 51 High Falls Tr, Bancroft, Ontario. How ist the neighborhood, location and nearby amenities for 51 High Falls Tr, Bancroft, Ontario? I have questions about the roof, foundation, insulations and mechanical issues of 51 High Falls Tr, Bancroft, Ontario? I need more information about property details. What's wrong with this house? Is this a short sale? Is there any maintenance for 51 High Falls Tr, Bancroft, Ontario? What is this property worth in today's market? What are "closing costs", and how much? What steps should I take when looking for a home loan? What price home can I afford? Is my credit good enough to buy this house? What are the best mortgage options for me? How flexible is the seller on the asking price? How low can I consider offering for 51 High Falls Tr, Bancroft, Ontario? Hwy 62 & S Baptiste Lake Rd. York River -Looking For A Get Away From The City? 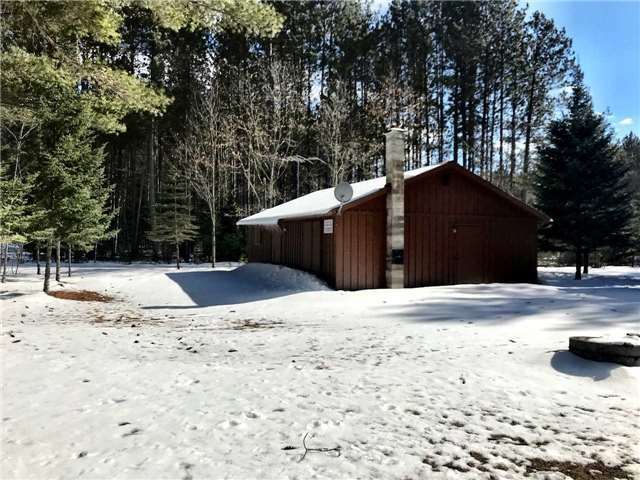 This Cabin Plus Garage With Hydro, Well And Septic Is In The Perfect Location Only 1 Km From Boat Launch Into Baptiste Lake. Property Backs On To The York River, On Year Round Road. Only 10 Minutes From Bancroft And 2.5 Hrs From Toronto And Ottawa. 37 Acres With Frontage On South Baptiste Lake Rd., And High Falls Trail. Severance Potential Here -In Sought After Area. Directions: From Bancroft Take Hwy 62 To Y Rd. Turn Left, Follow To End, Go Straight At Stop Sign To High Falls Trail.